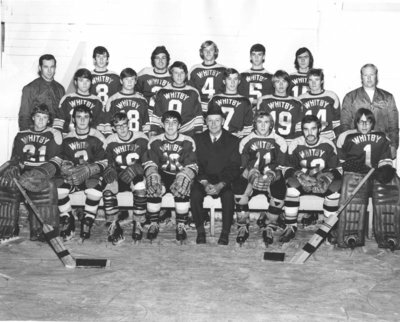 A black and white photograph of a Whitby Hockey Team. A team photo of a Whitby hockey. Whitby Hockey Team, Bill Stannett. Whitby Archives 21-005-058.